TEHRAN, Iran - An Iranian-British woman detained while trying to attend a men's volleyball game has been sentenced to one year in prison, her lawyer said Sunday. Mahmoud Alizadeh Tabatabaei told The Associated Press that a court found Ghoncheh Ghavami, 25, guilty of "propagating against the ruling system." Tabatabaei said he was shown the text of the verdict but is still waiting to officially receive it. He declined to immediately comment further. 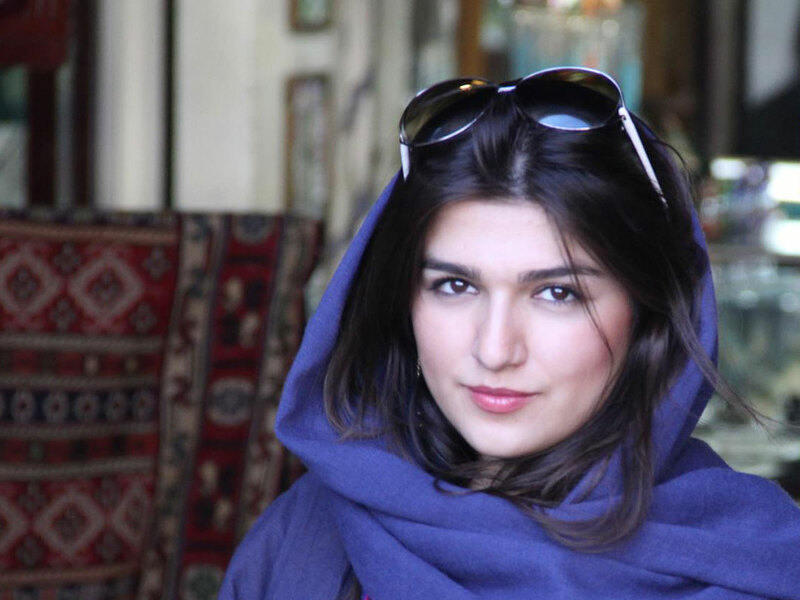 Ghavami was detained in June at a Tehran's Freedom Stadium after trying to attend a men's volleyball match between Iran and Italy. Women are banned from attending male-only matches in Iran and Ghavami tried to enter the match with other women to protest the ban, according to Amnesty International. Ghavami was held for a few hours and then released but she was detained again a few days later. She stood trial last month. National police chief General Esmail Ahmadi Moghaddam said it was "not yet in the public interest" for men and women to attend sporting events together, reports Agence France Presse. "The police are applying the law," he said at the time. Women are also barred from attending soccer matches in Iran, with officials saying this is to protect them from lewd behavior among male fans. Since her detention, Ghavami has been held in solitary confinement at Tehran's Evin prison, according to Amnesty, which has criticized her detention. She began a hunger strike earlier this month over her detention, Amnesty says. A statement on a popular Facebook page supporting her freedom that was posted after the verdict reads: "Ghoncheh has been in temporary detention for the past 126 days and her temporary detention expired 6 days ago and it is not clear to her family and lawyer as to what the current legal basis of her detention is. A fair and just legal process according to Iran's legal framework is the basic right of every Iranian citizen." Iran's judiciary spokesman, Gholam Hossein Mohseni Ejehi, has criticized reports linking Ghavami's arrest to volleyball, saying last month: "Her case has nothing to do with sports."